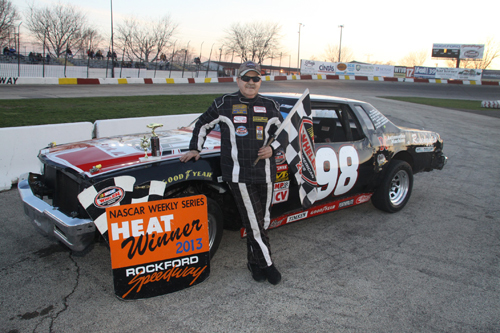 Gene Marocco # 98 Rockford, Illinois celebrated his 73rd birthday by winning his Rockstar RoadRunner heat race. 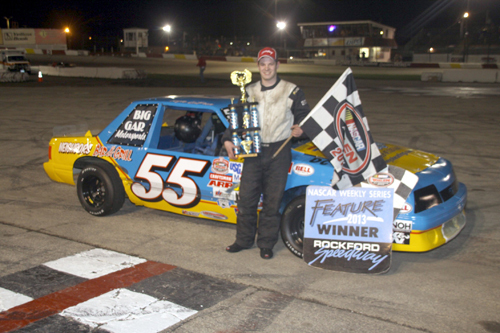 Miller Lite American Short Tracker 25-lap feature winner went to Kyle LaPier # 55 Belivdere, Illinois racced to the front of the field to claim his first feature of 2013. 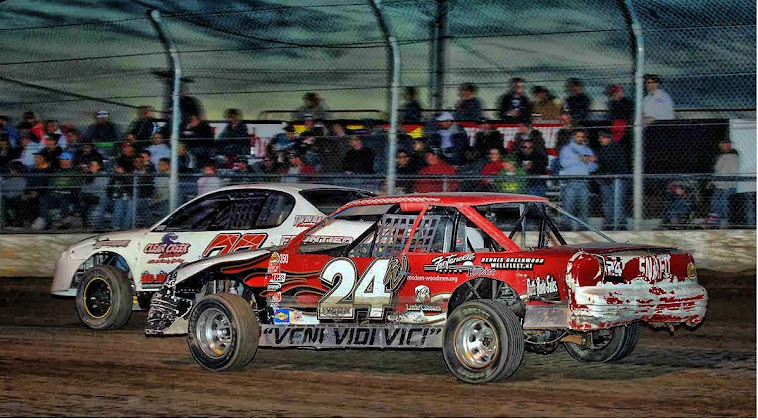 Brett McCoy # 29 Belvidere, Illinois in victory lane for Bargain Hunters Sportsman 25-lap main event. 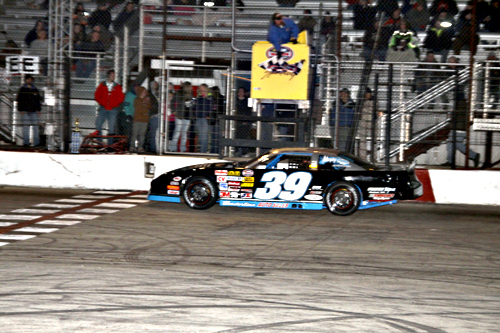 Stanley Steemer NASCAR Late Models about to take the green flag to start their first feature for the 2013 season. 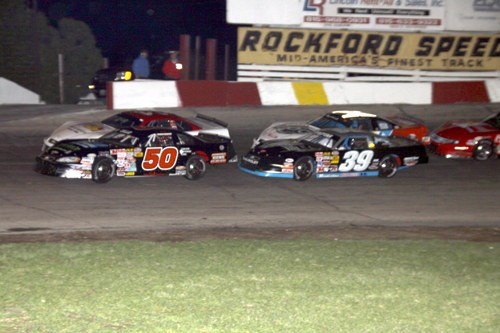 Alex Papini # 39 Machesney Park, Illinois takes the first feature checker flag of 2013 weekly racing program at the Rockford Speedway. 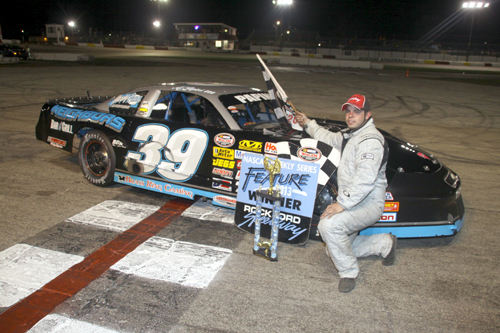 Alex Papini # 39 Machesney Park, Illinois makes the statement as to say 'I am in it to win it for 2013' as he showed dominance in the Stanley Steemer NASCAR Late Models 30-lap main event. 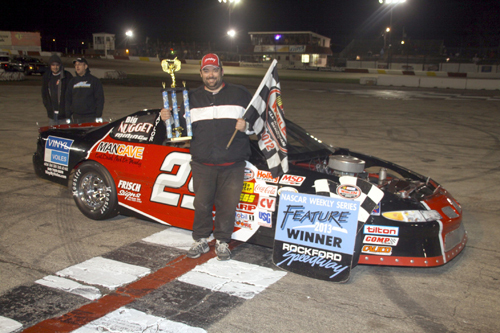 This is his second feature win of 2013, his first coming from the Big 8 Series a during Rockford Speedway's Spring Classic. 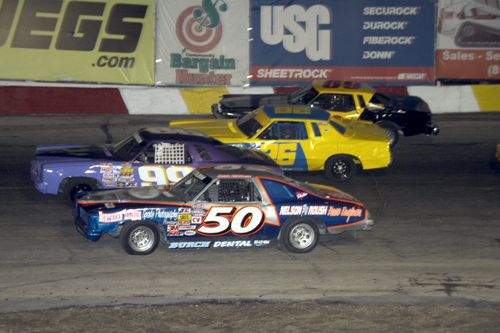 Rockstar RoadRunners start each feature event by making a four-wide presentation to the race so to salute the race fans in attendance. 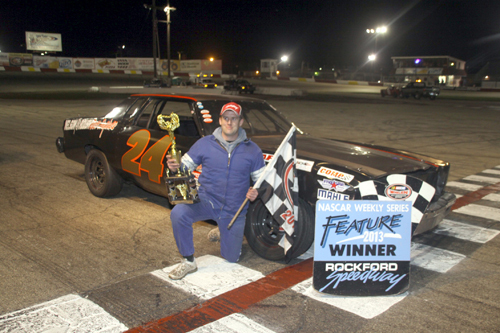 With a smile # 24 Arlyn Roush, Woodstock, Illinois wins the Rockstar RoadRunner 20-lap feature to close out a frigid night of racing at the Rockford Speedway.